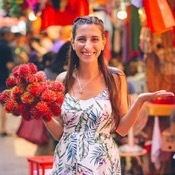 Local Private Tour Guide | Hong Kong, Hong Kong | Lorena F.
Hi everyone! 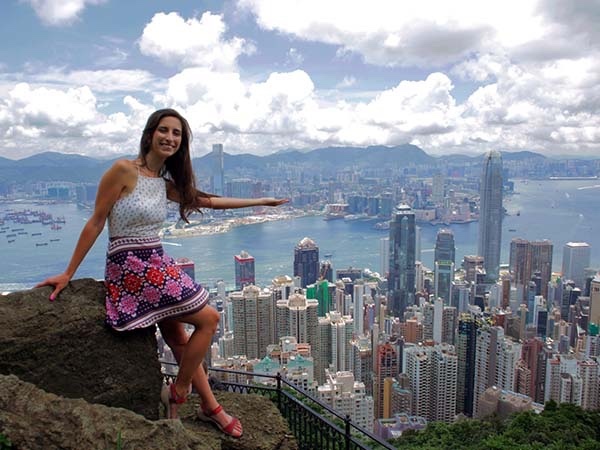 My name is Lorena, I'm Uruguayan and have been living in Hong Kong since 2013 where I got the tour guide certification. I offer private tours in English, Spanish and Portuguese, that combine 'must see sights' with hidden gems and back streets. 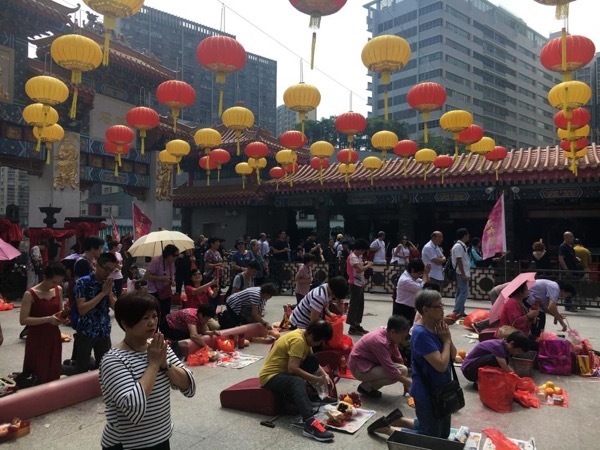 My tours focus on getting you to learn about Hong Kong's culture, customs, history and local way of life through unique, private and tailor-made experiences; inspired by each guest's motivations. My mission is to create memorable unique experiences that truly inspire. I arrived to Hong Kong after a planned 40-days backpacking trip to Southeast Asia that changed into a 5-months trip around 25 cities of China travelling mainly by train (10. 000 km) and ended up being an indefinite stay in Hong Kong. This adventure was key to discover how sharing experiences with locals makes a trip become an enriching life experience. This motivated me to replicate that feeling in every person that visits Hong Kong. I really love Hong Kong contrasts and diversity, a wonderful place I call home now! You can choose one of the tours listed or simply choose the tailor-made tour to suit your own interests and needs, I'm very flexible and want you to truly enjoy the tour! 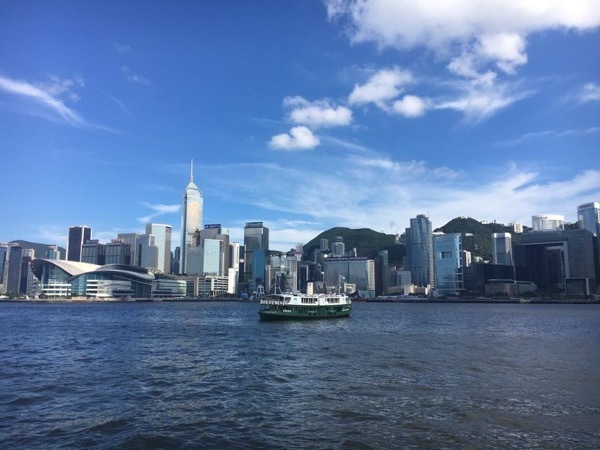 We will use local transport (MTR, ferry, bus, minibus and taxi) to get around town, as I consider it the most authentic way to experience real local life! I'll be very happy to show you Hong Kong, you will make a new local friend! Book a tour now to discover Hong Kong from curiosity to wonder: turn all your questions [?] into exclamation marks [! ], change them from how to WOW! I invite you to enjoy Hong Kong's beautiful landscapes, its particular aromas, its sounds and flavours, under the sun or the rain. . . Welcome! ¡Hola a todos! Mi nombre es Lorena, soy uruguaya y vivo en Hong Kong desde 2013, donde obtuve la certificación de guía de turismo. Ofrezco tours privados en inglés, español y portugués, que combinan las atracciones más populares con lugares menos turísticos para vivenciar el Hong Kong de quienes vivimos acá. Mis tours se centran en compartir la cultura, costumbres, historia y el modo de vida local de Hong Kong a través de experiencias únicas, privadas y a medida; inspiradas en los gustos, intereses y necesidades de cada persona. Mi misión es que cada experiencia sea un recuerdo inmejorable. Llegué a Hong Kong después de un viaje de 40 días como mochilera al sudeste asiático que se convirtió en un viaje de 5 meses por 25 ciudades de China viajando principalmente en tren (10. 000 km) y terminaron siendo una estancia indefinida en Hong Kong. Esta aventura fue clave para descubrir como el compartir vivencias con gente local hace que un viaje se transforme en una enriquecedora experiencia de vida. Esto me inspiró a replicar esa sensación en cada persona que visita Hong Kong. ¡Realmente amo los contrastes y la diversidad de Hong Kong, un lugar maravilloso al que ahora llamo hogar! Puedes elegir uno de los itinerarios propuestos o simplemente elegir el recorrido a medida según tus propios intereses y necesidades. ¡Soy muy flexible y deseo que realmente disfrutes del tour! Utilizaremos transporte local (MTR, ferry, autobús, minibús y taxi) para desplazarnos por la ciudad, ya que considero que es la forma más auténtica, práctica y eficiente de experimentar la vida local. ¡Ven a VIVIR HONG KONG junto a mi y te llevarás una nueva amiga! Te invito a disfrutar de los hermosos paisajes de Hong Kong, sus aromas particulares, sus sonidos y sabores, bajo el sol o la lluvia . . . ¡Bienvenido! Lorena was a wonderful guide. We would recommend her to any first time visitor to Hong Kong. Her knowledge of the local culture was immense. We especially enjoyed her explanations of local religions and customs. - 13 years' experience in the tourism industry. - 2005, Hospitality Specialist, ITHU Politécnico de Montevideo, Uruguay. Graduated with honours. - Superior Level of Portuguese Certificate, Brasil Club de Portugués, Uruguay, 2006. - Certificate of Proficiency in English (CPE), University of Cambridge, 2004. I am not a driver and do not offer tours by car/couch/bus. We will use public transport to get around town, as I consider it the best way to experience real local life. Transport in Hong Kong is an attraction in itself! Explore temples, markets and busy streets like a real local! Explore Hong Kong from the busy city center to it's highest peak!